ON June 20, 1987, the Turkish Government established the new Noah’s Ark National Park. This followed a Government commission which confirmed the 10 years of research work on the site by an American, Ronald and his colleagues. 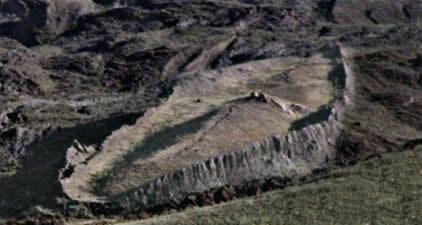 The site was first brought to attention in the late 1950s after high altitude aerial survey photographs revealed a boat-shaped structure in the mountains of the Ararat region. Although initially dismissed by some, Ron and others undertook extensive investigative work on the site for nearly a decade. Employing such methods as subsurface interface radar scanning, metal detection surveys, core-drilling, etc., the results were spectacular. 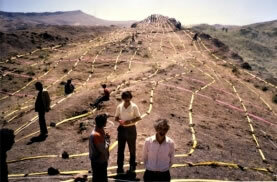 Buried at an altitude of 6,300 feet was the physical remains of a man-made structure, an enormous ship. Ronald’s results led to serious interest by Turkish scientists and archaeologists, and ultimately a high-level Government commission was convened to consider all the evidence gathered. The official conclusion was the site did indeed contain the remains of the legendary ark of Noah. As a result, a new National Park was established. Naturally the conclusion of the Turkish Government has been resisted by some in academic circles, for the implications of this discovery are very far-reaching. However the evidence is abundant, and consistently points to this site as being the remains of the Biblical Noah’s Ark, an object for which so many have searched. 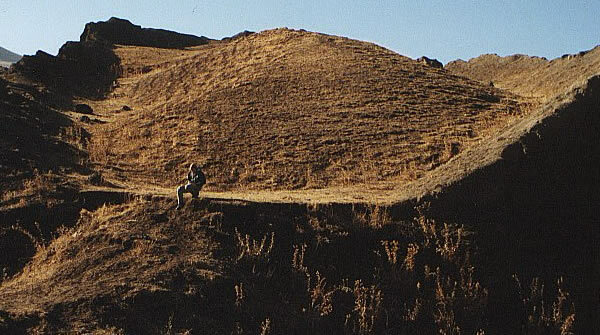 Dr. Salih Bayraktutan, of the Ataturk University in Erzurum continues to research the site, and has accumulated much evidence. Documentation is now available, detailing the history of this discovery, and the results of the on-site research work that has been carried out in Eastern Turkey. IN 1959, while routinely examining aerial photos of his country, Turkish army captain Llhan Durupinar came across the formation pictured in the inset on the right. 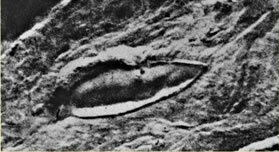 In the mountains of the Ararat region was a boat-shaped object longer than a football field, the size of a battleship, at 6300 ft altitude. Dr. Brandenburger, the photogammetry expert from Ohio State University, became interested. Brandenburger was responsible for discovering the Cuban missile bases during the Kennedy era, and after carefully studying the photo, concluded: “I have no doubt at all, that this object is a ship. In my entire career, I have never seen an object like this on a stereo photo.” In September 1960, the picture was published in LIFE magazine under the heading “Noah’s Ark?” That same year a group of Americans accompanied Capt. Durupinar to the site for a day and a half, but superficial investigations found nothing promising. The group conducted some digging, but finally concluded that the site contained “nothing of archaeological interest.” However, their verdict was not unanimous. Seventeen years later, in 1977, Ron visited the site. Obtaining official permission, Ron and others over a period of several years conducted more thorough research. Utilising metal detection surveys, subsurface radar scans, laboratory tests and chemical analysis, etc., their findings were quite startling. The evidence was undeniable. In December 1986, after investigative work by their own scientists, members of the Ministry of Foreign Affairs, Ministry of Internal Affairs, and researchers from Ataturk University met and concluded that this was indeed the remains of the legendary ark. In recognition for his work, Ron was invited to be guest of honour at the opening of a new national park on June 20, 1987. In May, 1989, the visitors centre was opened. During the investigations, three different types of metal detector revealed a consistent pattern of iron at regular intervals. Subsequent radar scans of the full length of the structure were made - length wise, crosswise and laterally along the sides. The ground-penetrating radar showed, with refined detail, the same pattern picked up by the metal detectors. And the radar revealed extra information which was stunning. Walls, cavities, a door near the south end (the ‘front’) and ramps appeared in the scans. Near the bow, were two large cylindrical tanks, 4.2 metres high and 7.2 metres across (14 x 24 feet), with metal bands around them. FOSSILIZED deck timber recovered from the site proved to be laminated wood. Tests by Galbraith Labs in Knoxville, Tennessee, showed the sample to contain over 0.7% organic carbon, consistent with fossilized wood. The specimen was once living matter. Thin sections from the sample revealed the wood consisted of three layers. It was actually laminated wood! Never before has petrified wood been found that was laminated. This sample is totally unique in the world, and reveals the construction methods used by builders of the Ark were very advanced. This type of wood composition may be the “gopher wood” spoken of in Genesis. Radar and other tests reveal an advanced state of petrification and collapse. Indications are that the top two decks have collapsed and the rubble is lying on the bottom deck, as shown in the diagram. The radar reveals the hull and the bottom deck area is in a better state of preservation, and still contains empty chambers.